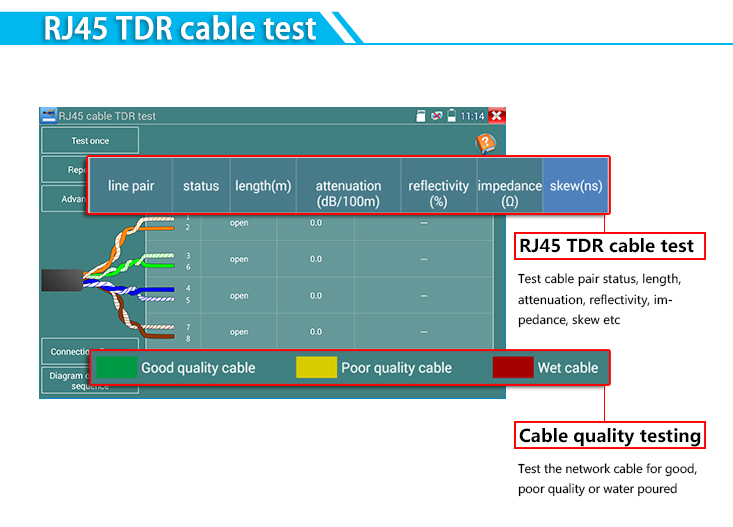 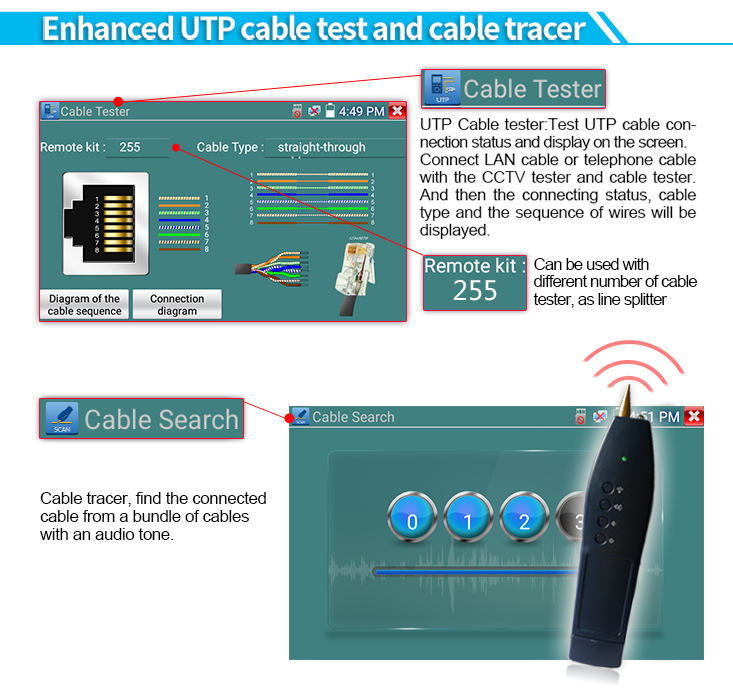 Test cable pair status, length, attenuation, reflectivity, impedance, skew etc. 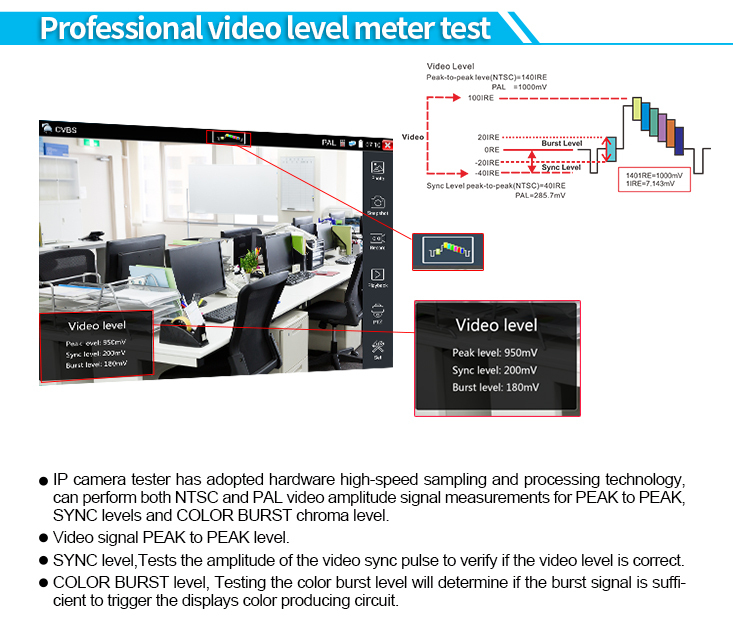 measurement range 180M. 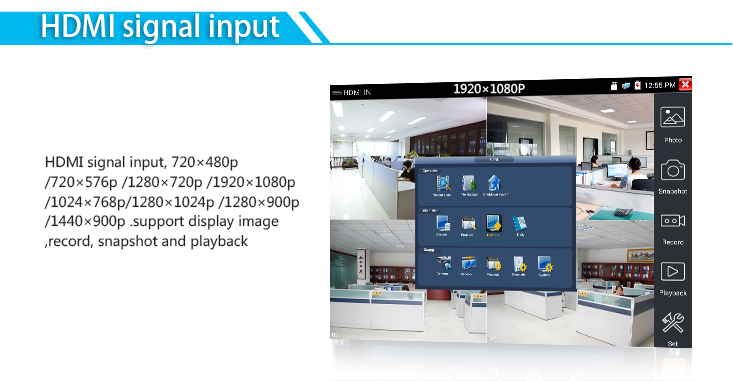 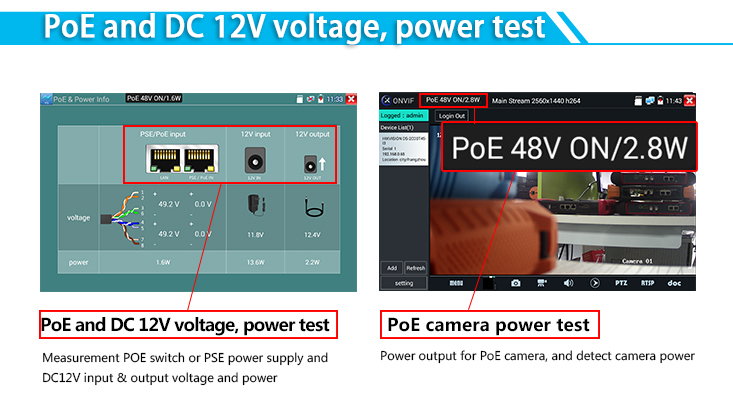 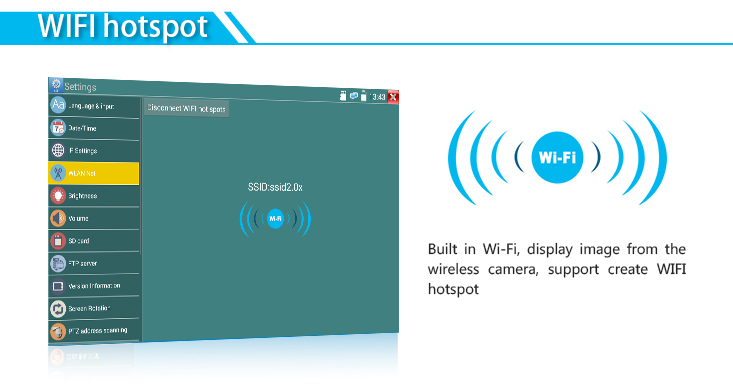 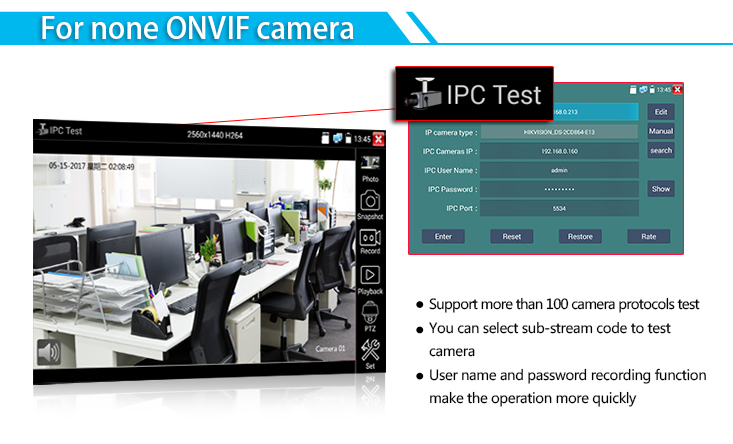 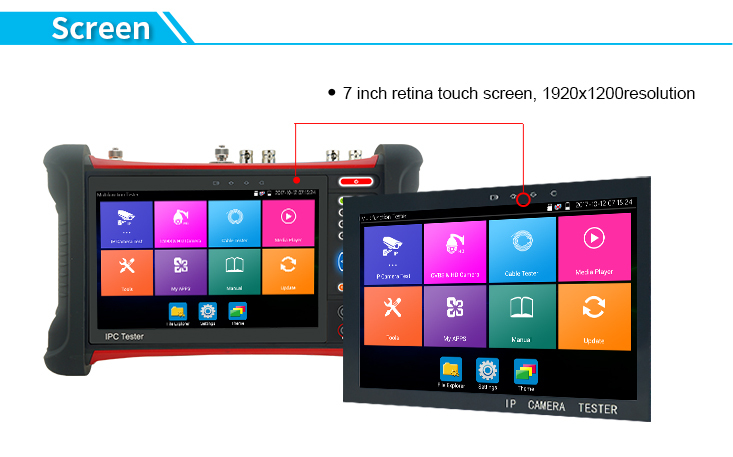 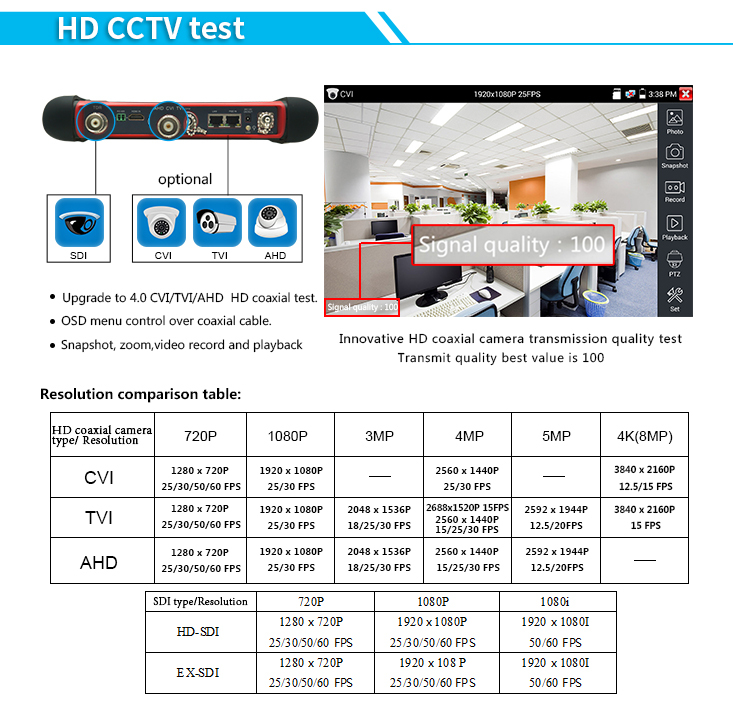 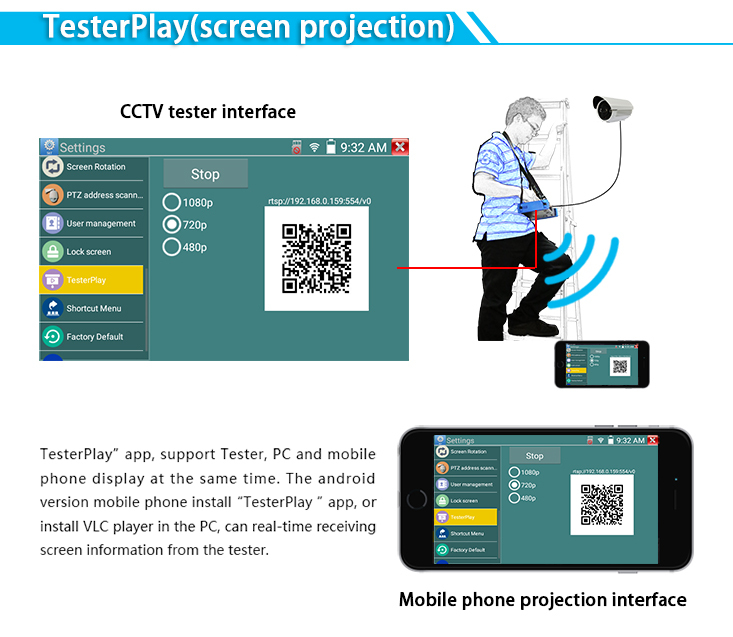 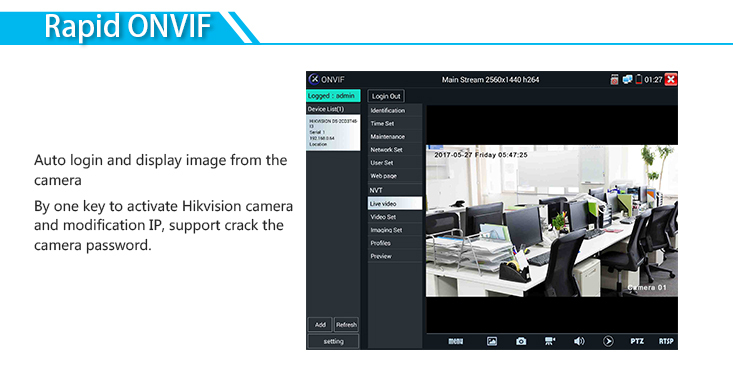 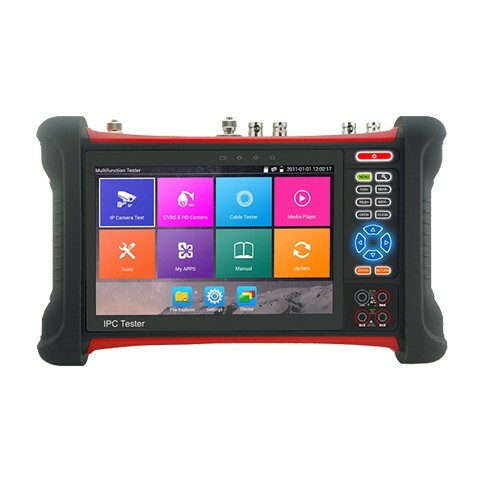 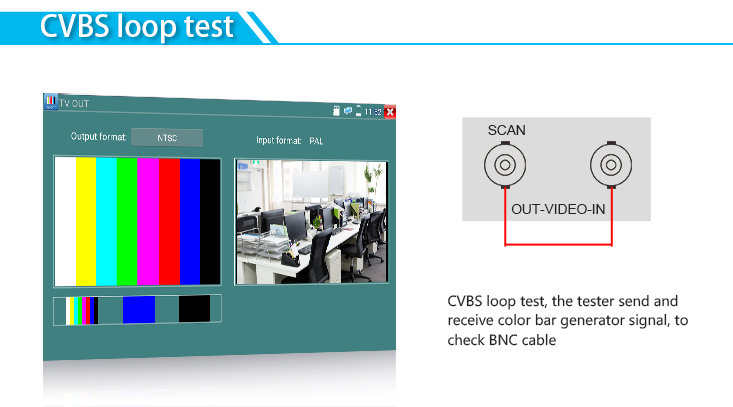 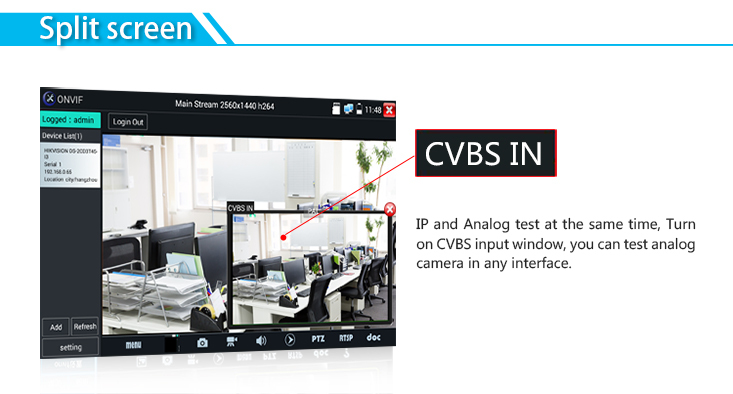 4.3 Inch HD AHD+TVI+CVI+CVBS Input CCTV Tester,TVI up to 8MP.AHD up to 5MP.CVI up to 4MP.